Support for the "Home Server" system home.manhattan.edu will end on 7/1/2015. The Home Server system was originally implemented circa 2002 and represented a significant upgrade over the Novell Netware system that it replaced. Over the last 13+ years, a number of enhancements, added features, and hardware upgrades have prolonged the usable life of the Home Server system; however, times have changed and numerous alternatives exists that offer more features at a lower cost. Google Drive has been identified as the successor of the Home Server and ITS has already taken steps to provide campus users with a smooth transition. 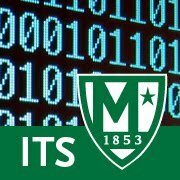 Starting last year, new Home Server accounts were no longer created for new students and employees. Instead, instructions were provided for accessing Google Drive. ITS has also prepared a number of tips and tutorials on migrating to Google Drive and taking advantage of the additional features that it has to offer. During the sunset period, users with additional needs related to home.manhattan.edu should contact ITS for assistance identifying alternative options. Some of these special circumstances may include departments with shared drives and users/departments with web content hosted on home.manhattan.edu (http://home.manhattan.edu/~username).